Online reviews have exploded in recent years. Most people search online for reviews of products, services, and brands before they buy and websites such as Trustpilot enjoy thousands of visitors each day. Product reviews are a big feature on massive e-commerce sites. Some reviews are tongue in cheek or bogus, but most are genuinely useful. 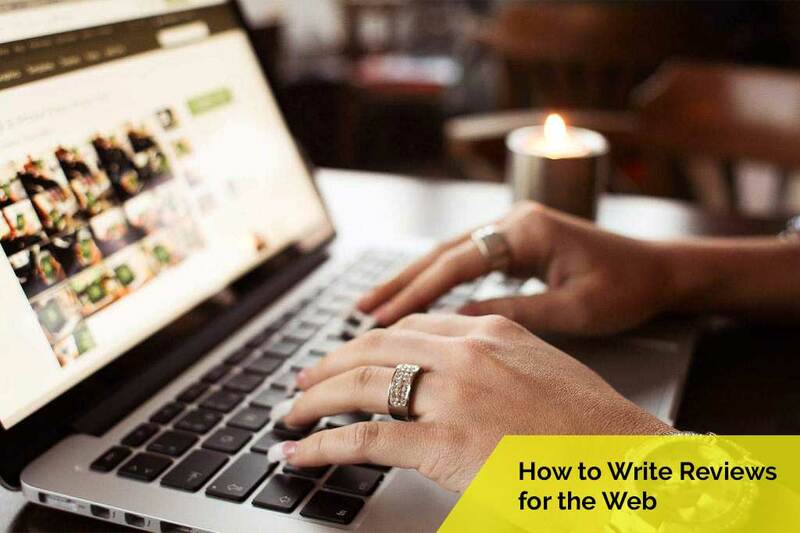 If you want to learn the art of writing a useful review for the web, read on! Think about the reviews you have read recently. For example, imagine you were looking for a Samsung SE 208BW DVD burner and you wanted to read some reviews before you splashed the cash. A useful review is one that covers every element of the product, from reliability and ease of use, to value for money and any other helpful observations. The aim is to help the buyer make an informed choice. A couple of sentences saying "I would buy it again" tell the reader nothing. The fact that you would buy the product again suggests it was reliable and good value, but it doesn't explain why. Conversely, if you left a review saying "Terrible! ", once again, the reader is left firmly in the dark. Because there are so many bogus reviews out there, most of them written by poorly paid writers in third-world countries, there is an increasing tendency to distrust reviews. The best way to avoid your reader dismissing the review as "bogus" is to include plenty of relevant detail and avoid padding it out with fluff. This isn't to say you can't add some personality to your review. A review that pokes fun at the reader or product is always entertaining and memorable, but it still needs to offer genuinely useful information. The following are all points you should bear in mind when writing useful product reviews. Try and maintain a stance of neutrality when writing reviews, whether you are reviewing an electronic gadget you bought on Amazon or an apartment you stayed in last weekend. Do not use names or details that could identify someone because that would make it look like it is either a) a personal attack, or b) you are best friends with the person associated with the product. Neither is great. Be descriptive about what you are reviewing. If it's a restaurant, talk about the menu, which dishes you ordered and the atmosphere. It's important to show the reader that you are writing from personal experience, not a piece of text the client sent you when they ordered the review. Add a few details, including how easy it was to book a table, which table you sat at, what time of day you visited, whether the place was busy, etc. All of these details matter to the reader. Always proofread your review for typos and avoid writing in text-speak. It only makes you look untrustworthy. Lastly, ensure you are a verified reviewer, which means your account is linked to a social media profile or your purchase is verified. People need to know you are a real person, not a bot.